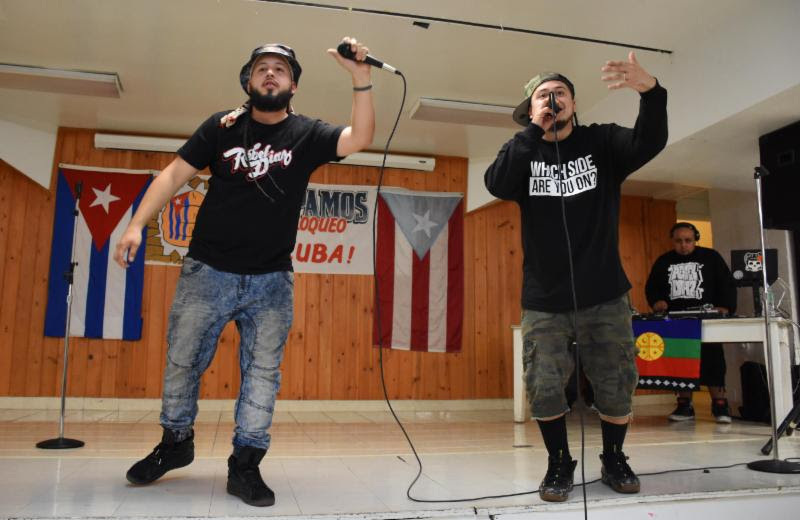 After three days of intense activities, people coming from cities across the United States, Puerto Rico and Canada, returned to their respective homes with the commitment to continue to fight for the end of the criminal U.S. blockade against Cuba. 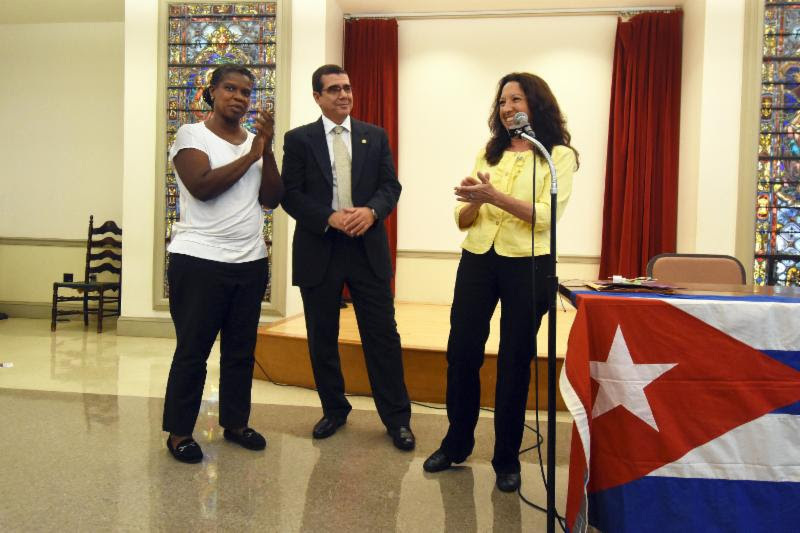 Also among those attending were Cubans residing in the United States. 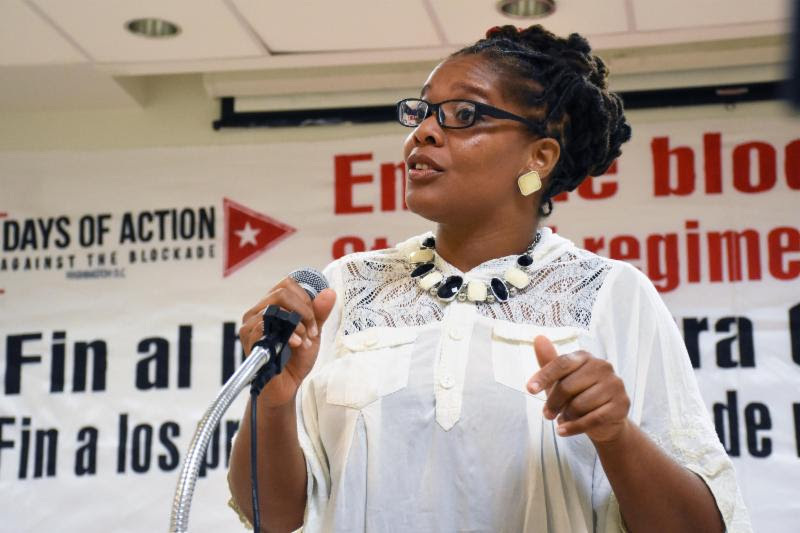 The Days of Action Against the Blockade began on the morning of September 16 at the United Methodist Building, close to Congress, where participants gathered for an orientation on grassroots advocacy. 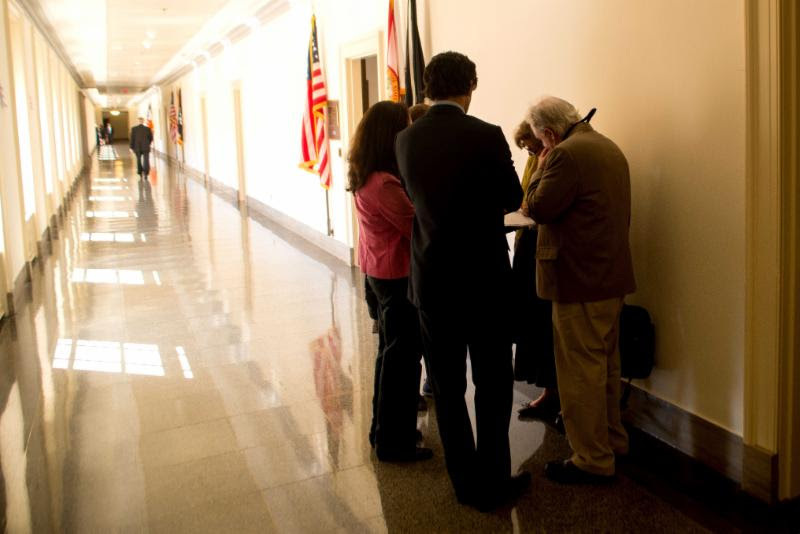 The two days of visits were directed primarily at new Republican members of Congress. 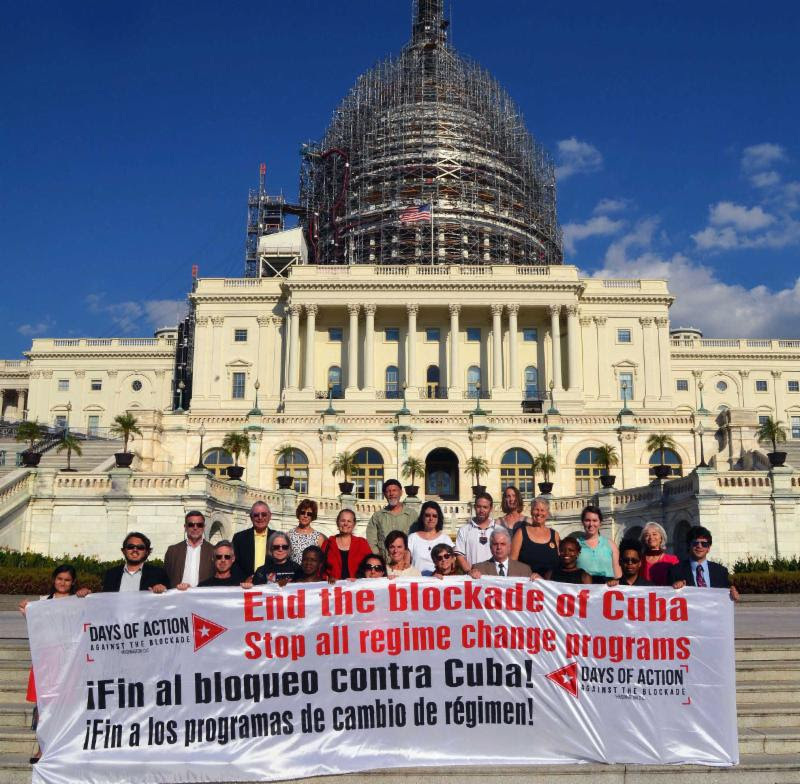 Six teams fanned out over the hill and visited a total of 57 offices, emphasizing the impact that the blockade of Cuba has not just on the people of Cuba but also how the people of the U.S. would benefit with the ending of the cruel failed policy of the blockade. 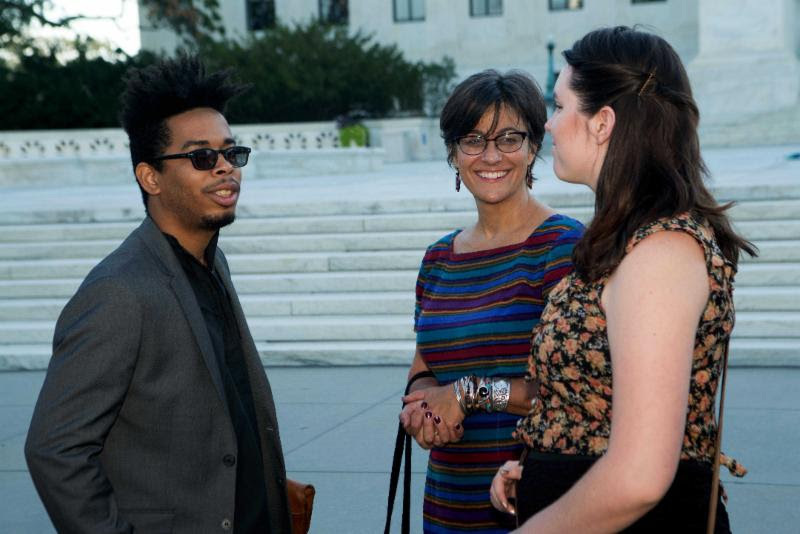 During the two full days of advocacy participants reported on the challenges they faced with closed minded positions, but they also found other members who were against the blockade and were now leaning towards a change of policy. In many frank discussions aides seemed eager to receive more information and left open the door to future dialogue. One of the biggest obstacles that the participants faced was the repeating of negative information and half truths perpetuated by the corporate media. In the end analysis the teams felt that much work needed to be done and that the real importance of their visits was to bring a progressive position in favor of Cuba’s sovereignty that was not weighed down by the lobbying perspective of high priced special interest groups. 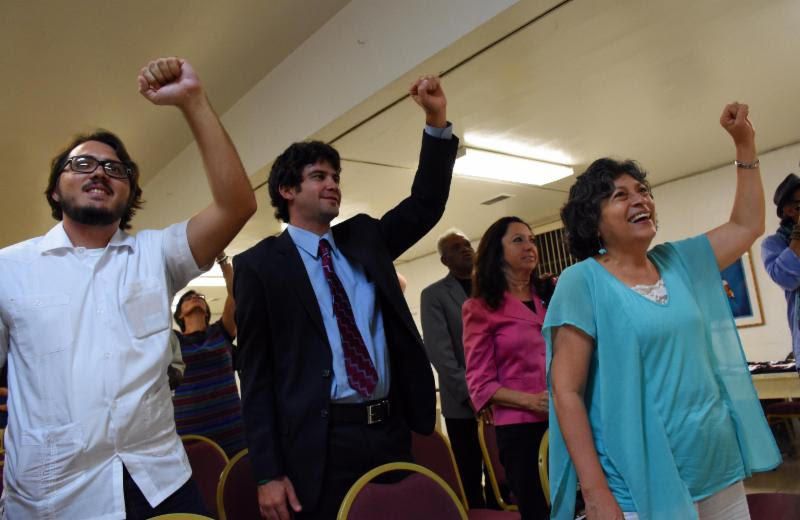 On Wednesday September 16, solidarity friends gathered in the Florida Avenue Baptist Church for an ecumenical cultural event shared with residents of the DC area. The gathering was a celebration of all the contributions that Cuba makes towards the betterment of the world and for the joy and hope that comes the new phase of U.S. – Cuba relations. 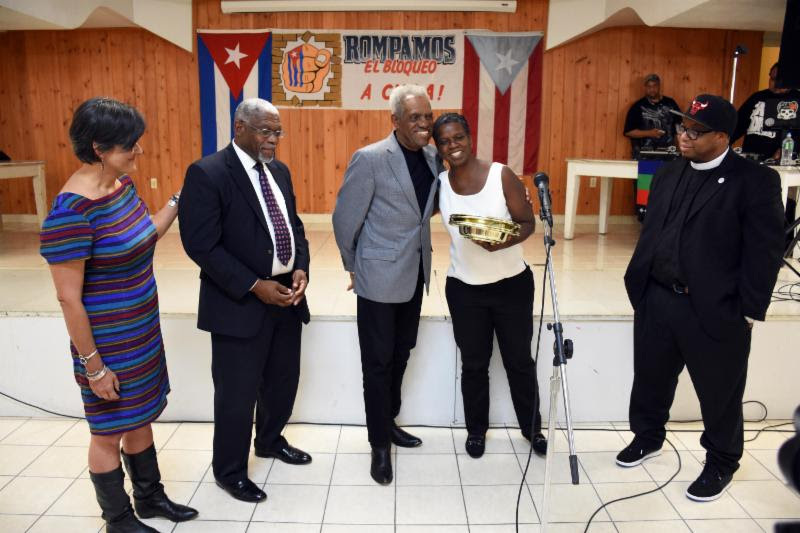 The evening also celebrated the return of the Cuban 5 who where unjustly imprisoned for many years in the United States for defending their country against terrorism. 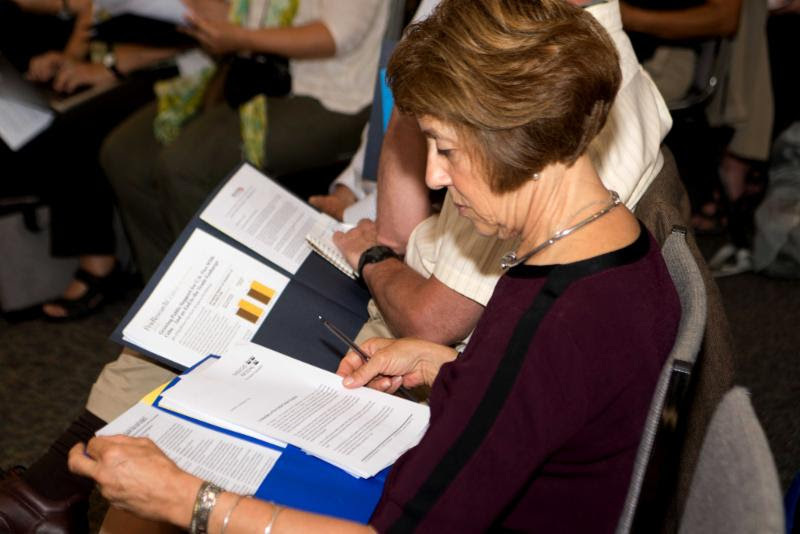 The activity was chaired by Gail Walker, Executive Director of IFCO/Pastors for Peace. The Rev. Dr. Earl D. Trent Jr., pastor of the Florida Avenue Baptist Church, who welcomed the attendees. Hap Bockelie a Cuban solidarity activist from Seattle shared his poetry that reflected the strength of the Cuban Revolution. Also addressing the audience were Rev. Lennox Yearwood – CEO of the Hip Hop Caucus, Rev. Thomas Smith from the board of IFCO/Pastors for Peace and Rev. 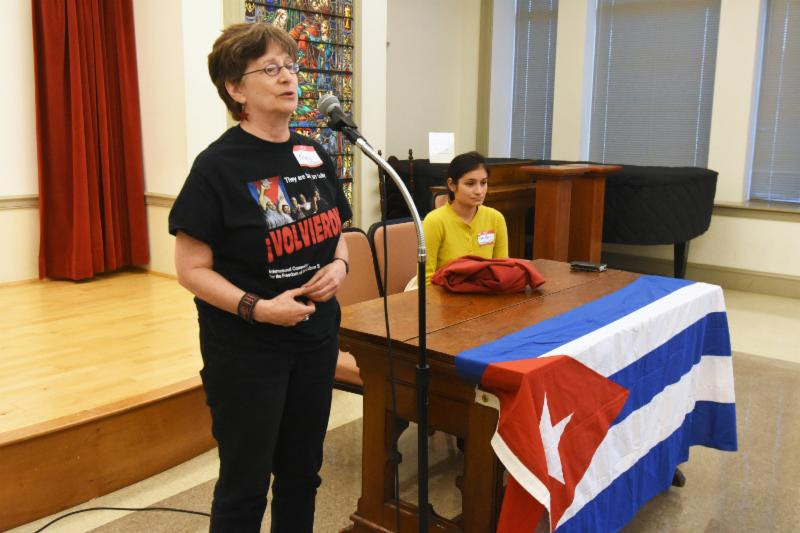 Paula Sohl, of the United Church of Christ from Ashland Oregon, who recently traveled to Cuba on a Pastors for Peace Caravan for the first time. 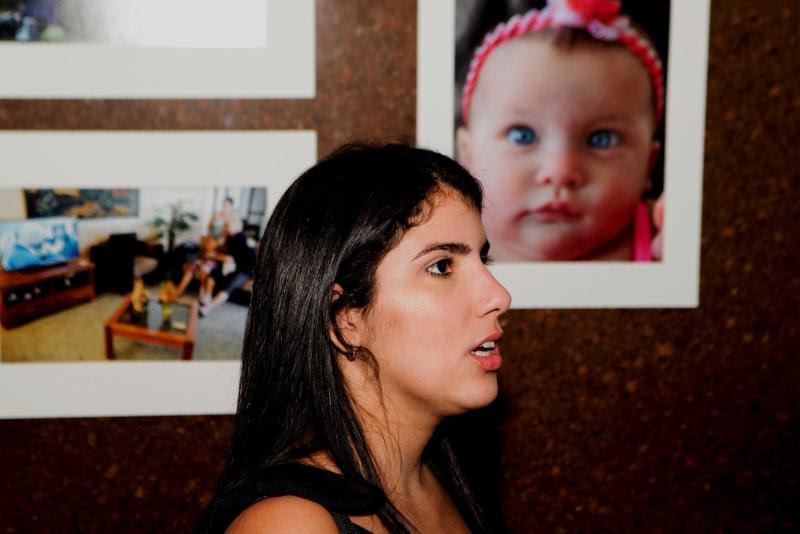 As part of the Days of Action a unique photographic exhibit, depicting images of the Cuban 5 during the immediate period right after their return, opened at the University Of DC David A. Clarke School Of Law. 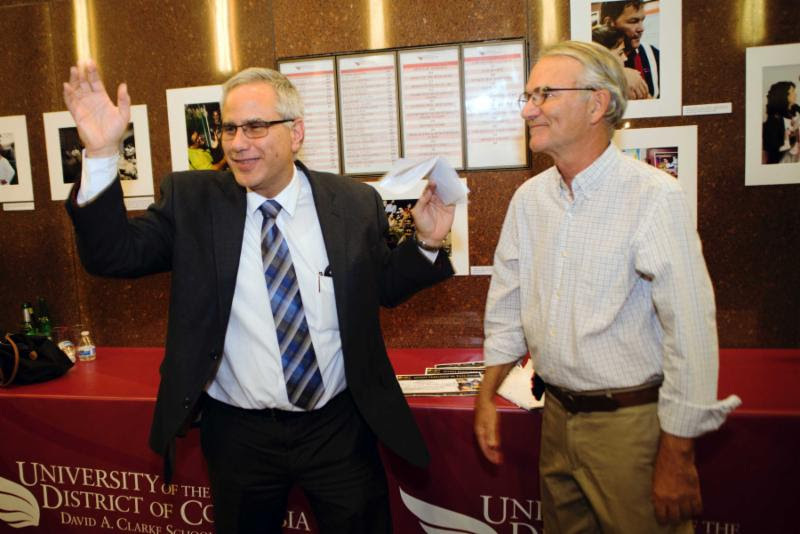 The Dean of UDC, Shelly Broderick, welcomed the crowded audience followed by Professor Cris Houston who thanked the groups of student organizations that joined and helped promote the activity. Also speaking at the event was Juan Lamigueiro, Second Chief of the Diplomatic Cuban Mission in Washington DC. 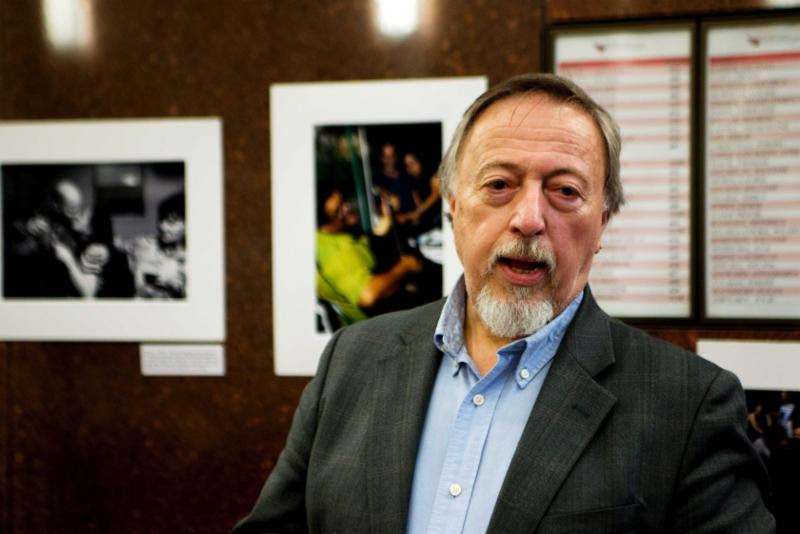 Canadian Professor and writer, Stephen Kimber, author of the book What Lies Across the Water: the Real Story of the Cuban Five highlighted the history of the case of the Cuban 5 and how the exhibit was the perfect illustration to the happy ending. To end the program Bill Hackwell spoke, relaying many anecdotes related to the release of the Cuban 5 and explained how special it was to be in Cuba during those first days after their release that led to the images in the exhibit. On Friday September 18, the final chapter of the Days of Action began early in the Shallenberger Auditorium of the Calvary Baptist Church in the downtown area of the capitol. 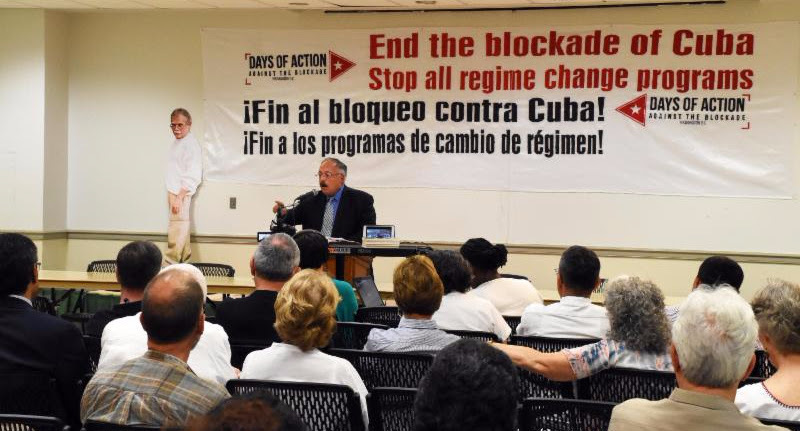 The all day conference entitled, The U.S. blockade Against Cuba: why it’s wrong and what we must do to end it, was opened with a greeting from Rev. Joe Glaze, Pastor of the Calvary Baptist Church. 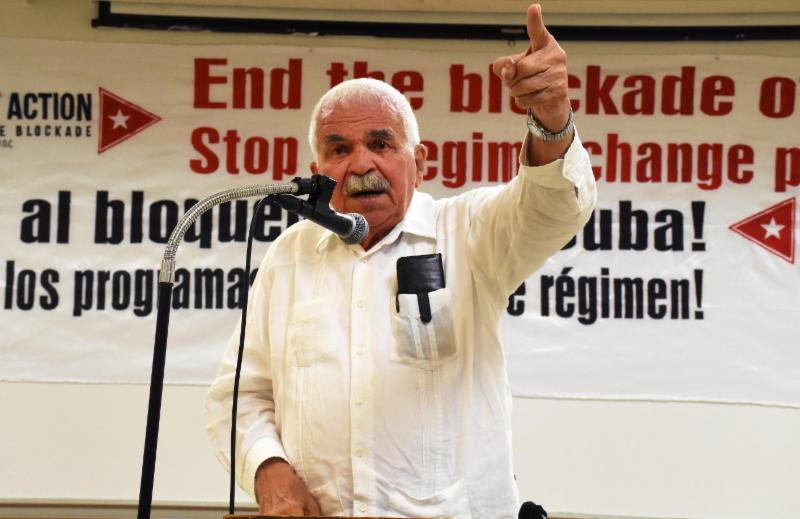 Opening the plenary was well-known lawyer José Pertierra who addressed the current stage of relations between Cuba and the U.S. by urging the audience to continue to fight for a complete end to the blockade. The different workshops were moderated by Nalda Vigezzi from the National Network on Cuba, Jennifer Bryant of the Venceremos Brigade, Berta Joubert-Ceci of the International Action Center, the Rev. Luis Barrios member of the Board of Directors of IFCO/Pastors for Peace, Nancy Kohn, from the International Committee for Peace, Justice and Dignity for the Peoples and Ana Maria Cardenas from IFCO/Pastors for Peace. As the conference started to wind down José Ramón Cabañas, the new Ambassador of the Republic of Cuba arrived and walked to the front of the room, while the large audience stood and chanted in unison Cuba Si! Bloqueo No! The ambassador spoke and answered questions for nearly an hour. Coincidentally, the previous day, Cabañas had presented his credentials to President Obama officially becoming the first Ambassador of Cuba for over a half-century due to the hostile U.S. policy that has existed against Cuba for all that time. 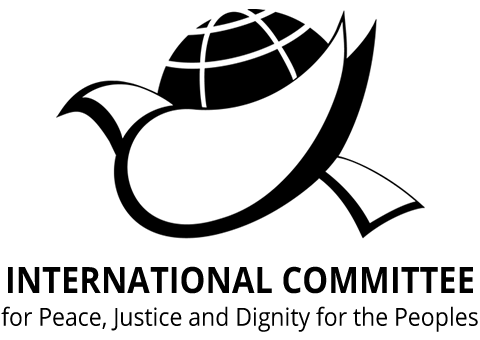 While the Days of Actions against the Blockade, endorsed by over 70 organizations, were taking place in Washington DC, so were coinciding events in Brazil, El Salvador, Russia, Belgium, Sweden and Canada. There were 101 members of the Parliament of Brazil and 9 members of the Parliament of Sweden who sent letters to the U.S. Congress calling for the lifting of the blockade against Cuba. The activities of the Days of Action in Washington made clear the urgent need to continue working for an end to the oldest unilateral blockade in history, especially as opportunities are now presenting themselves. 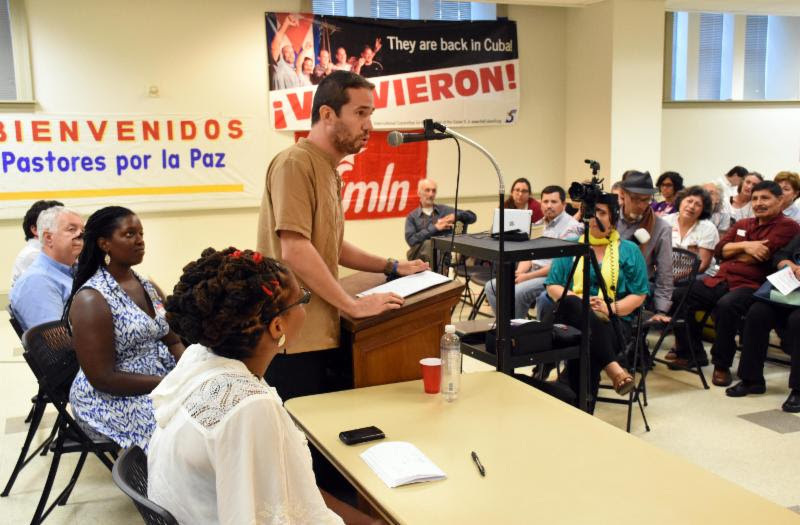 The events were organized by a coalition of groups in the U.S., including the International Committee for Peace, Justice and Dignity for the Peoples, IFCO – Pastors for Peace, the National Network on Cuba, the Institute for Policy Studies and the Venceremos Brigade. ← Obama: Follow Cuba’s Lead and Free US Prisoners!